Human population growth is accompanied by an increasing demand for food and other products, such as biofuels and cosmetics. This dynamic has driven the expansion of industrial agriculture, notably through large-scale deforestation and the development of extensive monoculture plantations for the cultivation of corn, oil palm, rice, sugar, and other crops. 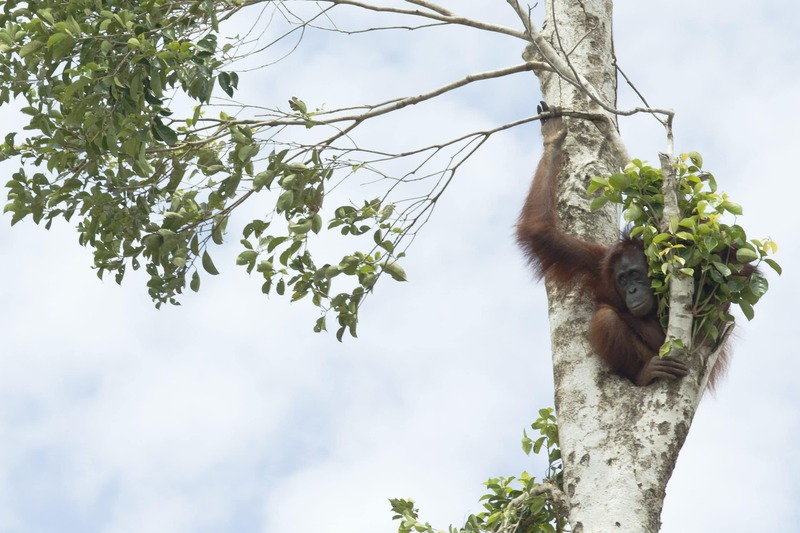 The spread of industrial agriculture is having a detrimental effect on ecosystems that sustain some of the world’s most exceptional biodiversity, threatening the survival of many species, among them great apes and gibbons. The destruction of habitat for agricultural purposes can leave ape populations with limited access to food and shelter; it can also isolate them from other individuals, preventing them from maintaining the genetic diversity necessary for the survival of the species. The toxic mix of food scarcity and a growing human presence leads to greater interaction between humans and apes, not only because apes raid crops in search of food, but also because farmers may hunt, capture, or kill them. Significantly, the destruction of natural forest reduces absorption of carbon emissions, aggravating climate change. The monoculture plantations that replace these forests support less biodiversity and absorb less carbon from the atmosphere. While some argue that industrial agriculture helps reduce poverty, evidence shows that it can also exacerbate poverty by degrading the natural-resource base on which livelihoods depend. Effective land-use planning can reduce the adverse impact of agricultural development on apes and other wildlife; in the same vein, conservation agriculture can promote the protection of biodiversity. The UN’s REDD+ and other initiatives to prevent deforestation have made some progress, but challenges remain. Ultimately, improving our understanding of how primates can coexist with humans and industrial-scale agricultural activity is crucial to their long-term survival.